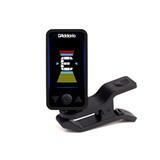 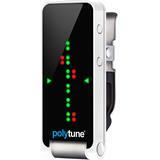 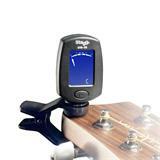 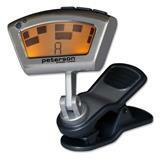 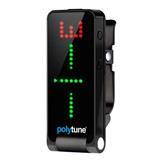 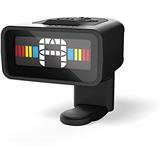 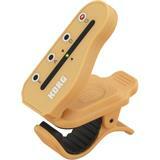 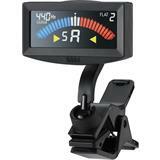 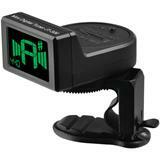 Clip-on tuner for guitar, bass, violin and ukulele. 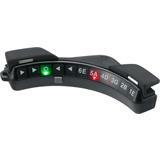 Two color backlight, switches off automatically. 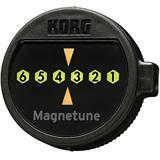 Built-in vibration sensor. 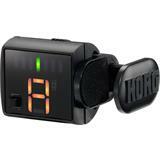 3V battery included.